​Years ago, in a small classroom tucked within a San Salvador junior high school, 12-year old Carolina Baiza was introduced to biology. Her sort-of hippie teacher at the time was passionate about environmentalism, and organized hands-on field trips, taking her students to plant trees in mangroves and release sea turtles along the nearby Salvadoran beaches. Carolina learned about ecology and the natural environment, becoming keenly aware of the importance of protecting the plants, animals, ocean and earth around her. ​Years later she studied in Germany, different than El Salvador in many ways, but specifically in the importance it placed on caring for the environment. 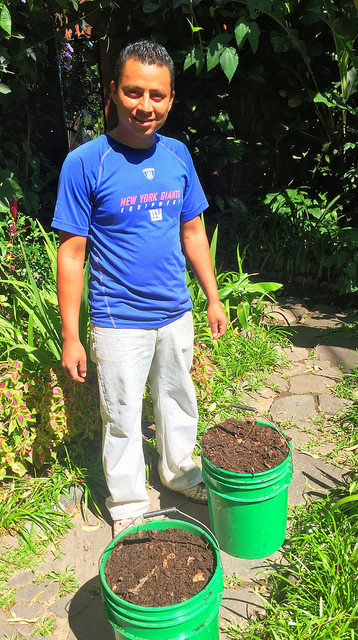 Returning home to San Salvador, Carolina was inspired. She knew she couldn’t change the world, but wanted to at least make a difference, starting in her own backyard. 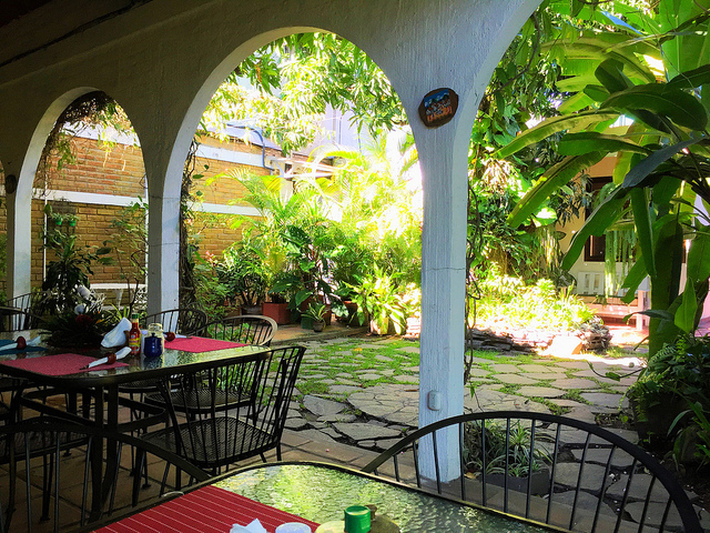 ​​In 2001, Hotel Arbol de Fuego opened for business, next door to Carolina's childhood home in the Antiguo Cuscatlán neighborhood of San Salvador. 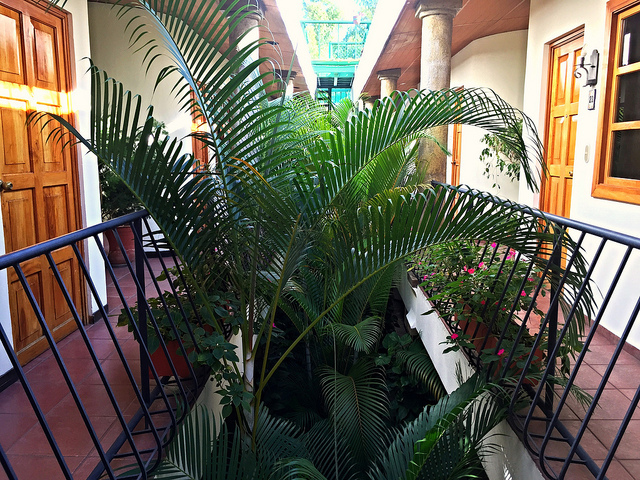 The González-Baiza family agreed to make the hotel environmentally friendly, creating a green sanctuary within the chaotic capital city. 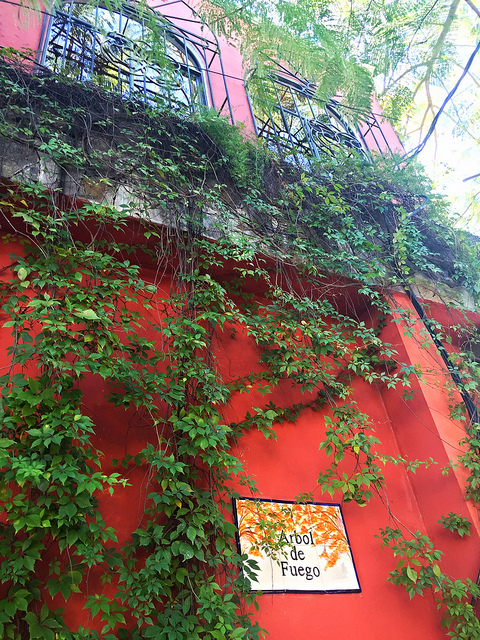 Trees and flowers were planted and breakfast was served in an arched, open air terrace surrounded by lush gardens. Business was good, and the family continued to grow the hotel, adding more rooms and increasing amenities for guests. However, in 2008, everything changed. The deep recession that began in the United States quickly impacted El Salvador, cutting deep into Arbol De Fuego’s core clientele, resulting in a vast decrease in both leisure and business reservations. The González-Baiza family had to make a decision. Cut operating costs, release some of their long-term staff members, or shut down. 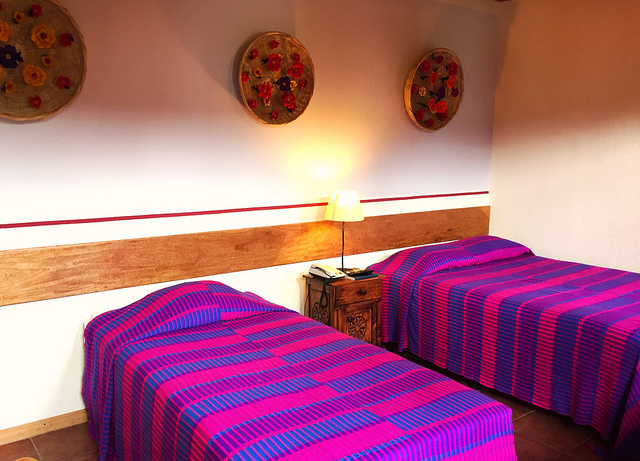 ​It was then that Carolina channeled her inner environmentalist, choosing to invest the upfront capital needed to transform Arbol De Fuego into a true eco hotel. She contacted USAID, the United States Assistance for International Development, about a program focusing on eco efficiency. 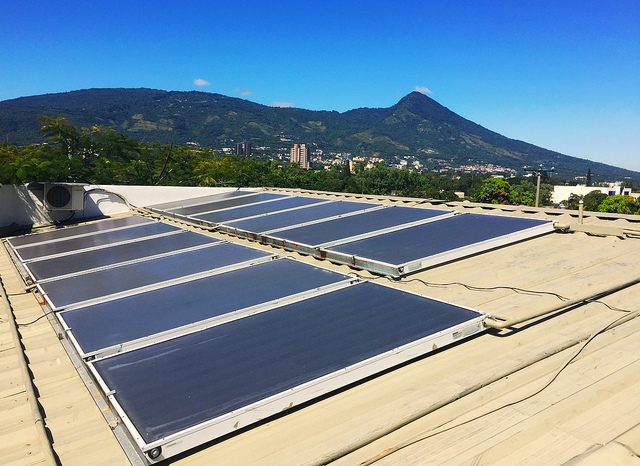 ​As a participant in the program, Arbol De Fuego hosted an audit from an environmental engineer, who delivered a long list of items to reduce energy consumption with the potential to save thousands. 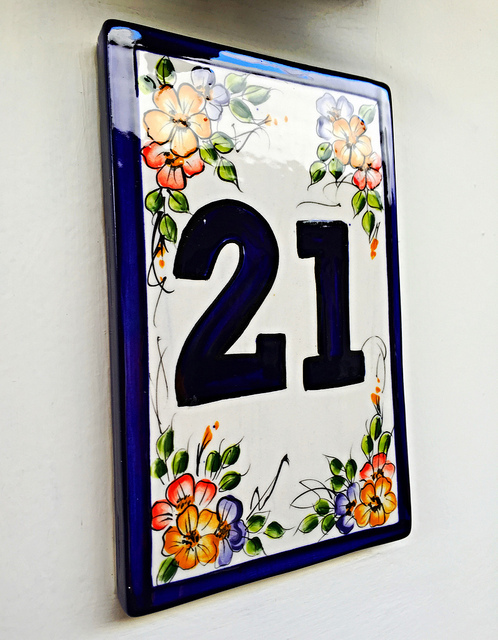 Carolina and her family quickly implemented every recommendation, dropping monthly electricity bills by $1,000. Enough savings to keep the hotel in business and retain valuable staff. Arbol De Fuego soon began embedding deeper roots within the local community; Partnering with a San Salvador university to track energy usage, they provided internships to local engineering students while also meeting each week with community members to find solutions for environmental issues that had long plagued the neighborhood around them. Before long, Carolina had established a network of sustainability consultants, engineers and community members. ​But the hotel’s success didn’t stop there. 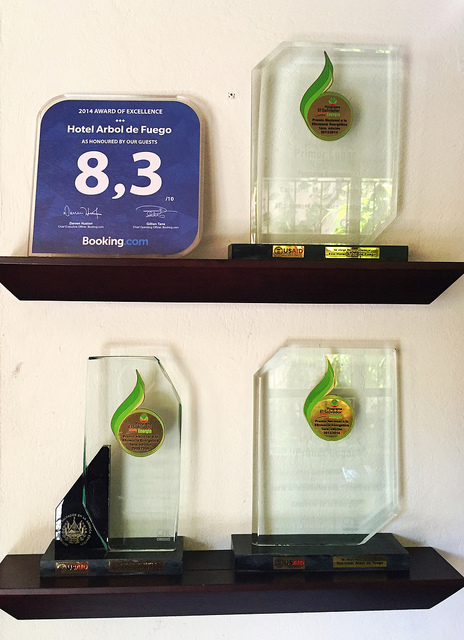 In 2014 Arbol De Fuego received three separate National Energy Efficiency Awards, totaling $30,000. The money has been used to implement more energy saving environmental initiatives, starting with additional insulation and double pane windows to keep the rooms cool without air conditioning. 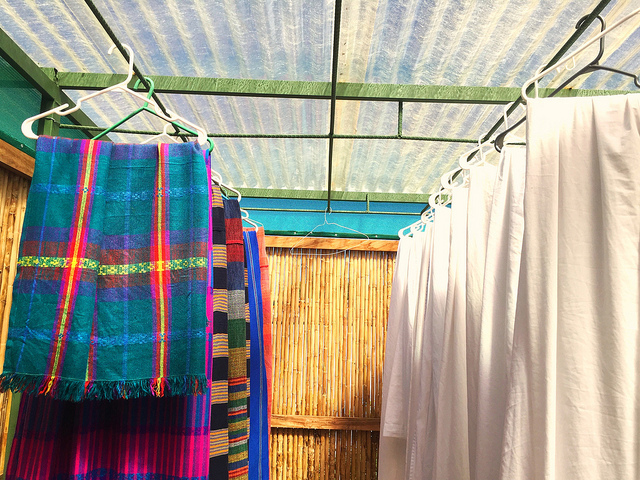 Next, a solar dryer - essentially a greenhouse for laundry - was built to capitalize on the intense Salvadoran sun, drying laundry without electricity. 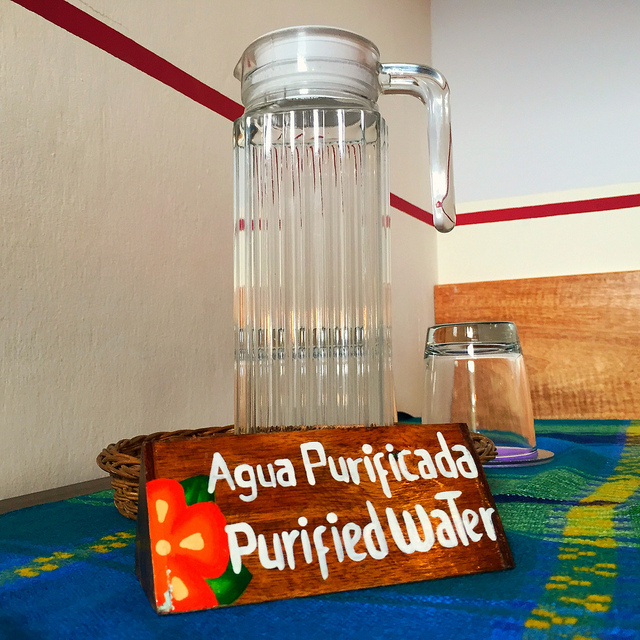 Furthermore, the hotel implemented a solar water heater, low-flow showerheads, and underground biogarden that naturally treats grey water used to water plants at the property. Arbol De Fuego also composts its organic waste, maintaining the garden and naturally shady public areas which protect the hotel from the heat of the sun. 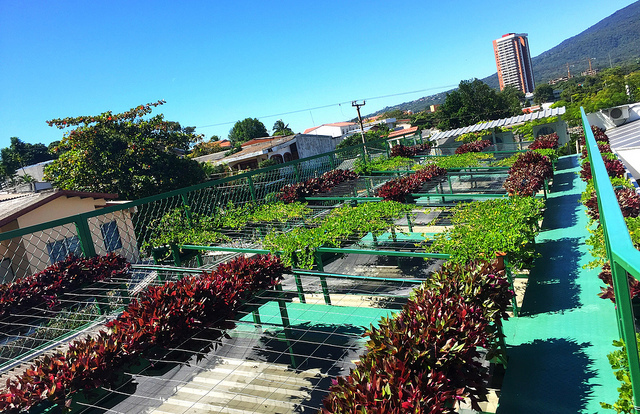 ​Most recently, Arbol De Fuego won another award for their ingenious green roof design, utilizing a raised bed with durable plants that can handle the brutal San Salvador heat. ​​The roof, which they just finished building, absorbs much of that heat and keeps the hotel cool. Carolina, always reaching for more ways to be green, admits there simply aren’t any other ways the hotel can save more energy. So instead, they’re working to create more, with plans to install additional solar panels across the hotel’s last uncovered rooftop space. ​Carolina recognizes that long-term sustainability is grounded in education. She not only works with university students, but also with youth from San Salvador’s most dangerous areas. ​Focusing on promoting a future outside of gangs and violence, she’s partnered with two friends and a team of German developers to create an award winning video game to teach at-risk youth about sustainability, hoping to inspire the same sense of ownership of the natural world that she once found. ​​She's also worked with Ruta de las Culturas de Maiz, an initiative of small tourism businesses that share sustainable ideas while educating visitors about local culture and customs. 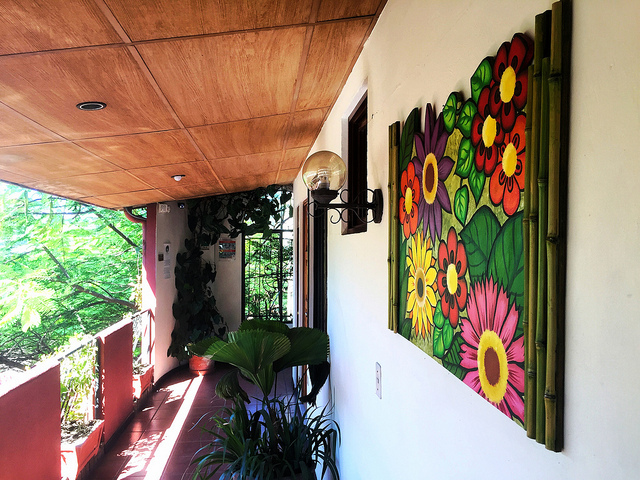 Arbol De Fuego itself is a representation of this community involvement, decorated with the beautiful art created by local female artisans. Carolina works with these women as well, teaching them about environmentalism, with hopes this knowledge will be passed along to their children and future generations. ​The hotel’s staff have even implemented energy saving initiatives in their own homes, reducing their electricity bills and environmental impact at home. 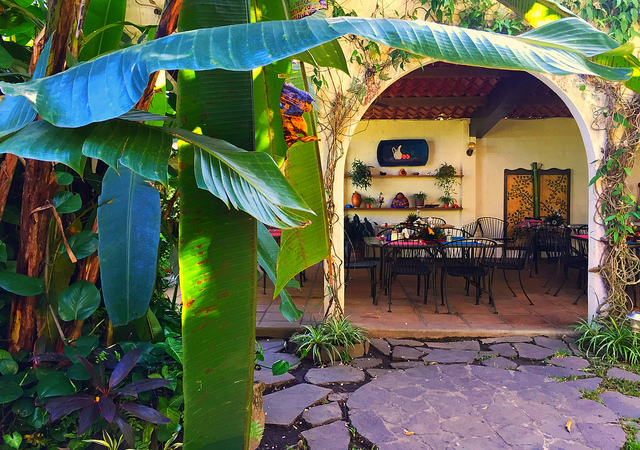 ​Many years ago, when little Carolina was up to her elbows in mud planting new mangroves, she never thought she would be the owner of the most sustainable hotel in El Salvador. She never thought that her hotel would receive multiple awards and thousands of dollars to continue her dream. She never thought that she would be a consultant to other hotels in the area on how to reduce waste and energy consumption. And she never thought that she would be actively working to educate local women and youth on the importance of caring for the environment. ​Her story, one of passion, education and entrepreneurship, may well be the start of big changes in this small country.